After 25 years, the Dodge Viper's Detroit plant is permanently closing down next month. It was a truly sad day when the Dodge Viper, arguably America’s most iconic sports car, was officially declared dead last year, with plans to cease production in August this year. The Viper’s fate has now been officially sealed, as Automotive News reports that the Detroit plant that manufactures the car will be permanently closed on August 31 after operating for more than 25 years, with no plans to replace it. The V10 sports car has been hand-built there since 1995, apart from a few interruptions. According to Automotive News, the assembly plant has over 80 employees, all of which will be relocated by FCA. Despite amassing a following over the years, the Viper’s demise is largely down to low sales figures - only 630 were sold last year. Sadly, even if the Viper was a strong-seller, Dodge wouldn’t be allowed to make it since it doesn’t comply with new federal safety standards requiring side-curtain airbags coming into effect from September 1. 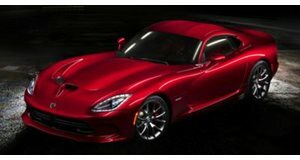 Dodge has been keeping the Viper’s legacy alive with a series of limited edition models marking the sports car's last year of production, including the GTS-R Commemorative Edition ACR limited to 100 units.